When looking to find appropriate rust removal services, let our professionals handle it for your home or commercial spaces. Peter’s Pressure Washing is detail-oriented and highly specialized contractor serving the entire Tampa Bay region and surrounding areas. We possess the latest commercial-grade rust removal equipment and techniques to accomplish flawless results that you deserve. Rust removal and rust stain treatment is a chemical process that requires the correct cleaners, knowledge, and equipment. 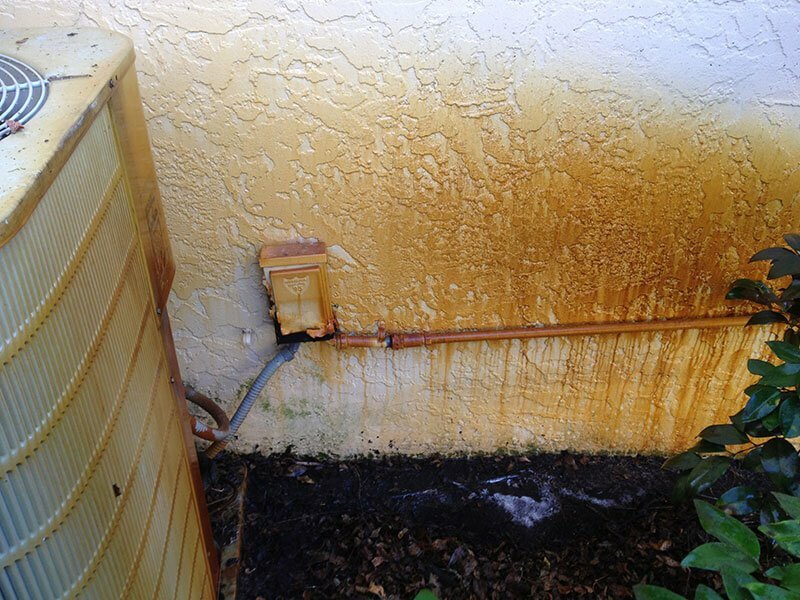 Rust stains can be caused by irrigation, battery acid dripping on a radiator, fertilizer overspray, and rusty patio furniture to name a few. Once water from your sprinkler irrigation comes in contact with air, iron sulfide (rust) oxidizes and causes it to rust. 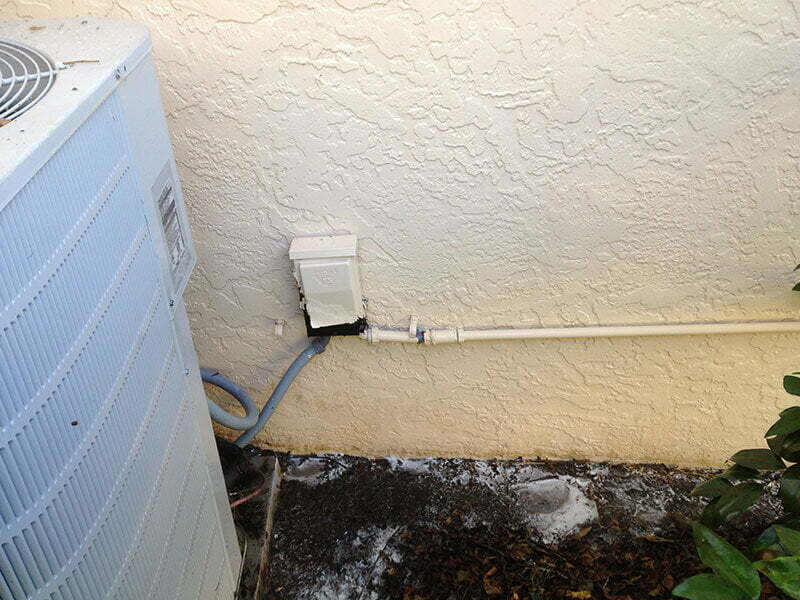 Corrosion stains also develop from leaking battery acid, fertilizer overspray, rusty patio furniture, and radiator drip. The source of the stain will determine what chemical/method will be most effective for the treatment of that stain. In most cases, we can achieve 100% removal but in certain cases, a rust stain may not come out completely. Once we see the stain we will be able to best manage your expectations concerning removal. You cannot blindly rely on rust removers available off-the-shelf as they may contain acids that can do more harm than good. Acids can strip the concrete of its cement paste and create an etched surface around the rust stain, permanently damaging your surface. At our pressure washing company, we are fully equipped to treat these stains based on the actual cause and help restore the affected area to its original look. Once we see and identify the stain we will be able to best manage your expectations concerning removal. Peter and his crew were fantastic. I highly recommend them! They did an excellent job cleaning our three-story log house, detached garage, driveway and stone fence columns–all for a reasonable price. They were polite, professional and punctual. Do not hesitate to connect with our experienced technicians who are aware of the methods to safely remove rust stains without causing any further damage. The chemicals and methodology used in the process is skillfully handled as per the need. Call us for a free quote to get efficient rust stain treatment and services and look at all our amazing reviews from our satisfied customers.